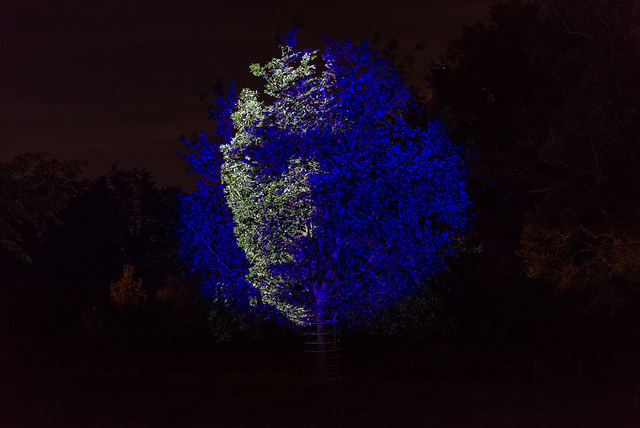 Greenbelt Festival is looking for Visual Arts and Combined Arts submissions for its 2019 outdoor festival of arts, activism and belief. 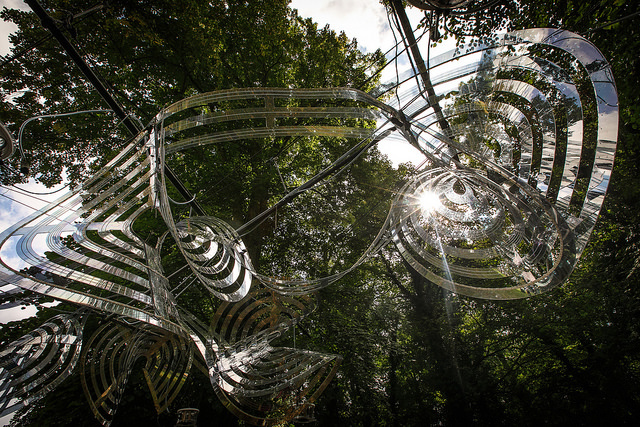 The festival boasts a varied lineup of arts, music, talks and more, and we are looking for Visual or Combined Arts pieces that work in an outdoor setting to be exhibited in the beautiful grounds of our festival setting. 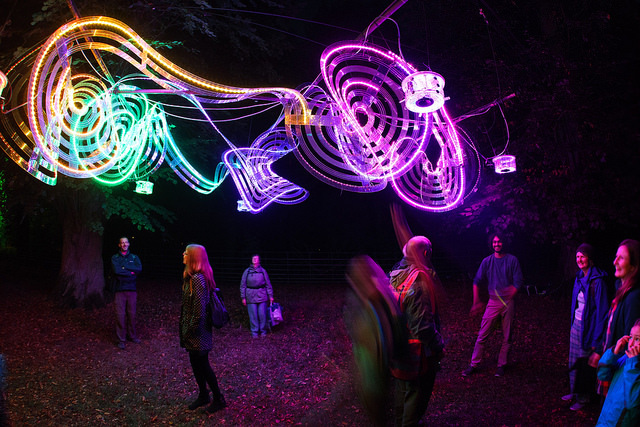 Greenbelt Festival is the leading outdoor festival of artistry and activism, with a focus on music, thatre and talks. It is progressive, political and spiritual, welcoming strong voices and opinions - those with or without faith, and regardless of background, gender and sexuality. This year the festival will be held over the bank holiday weekend (August 23rd-26th) at Boughton House, three miles north-east of Kettering. Each year the festival adopts a theme, and for 2019 it is ‘Wit and Wisdom’. You can find out more about the event here - www.greenbelt.org.uk. 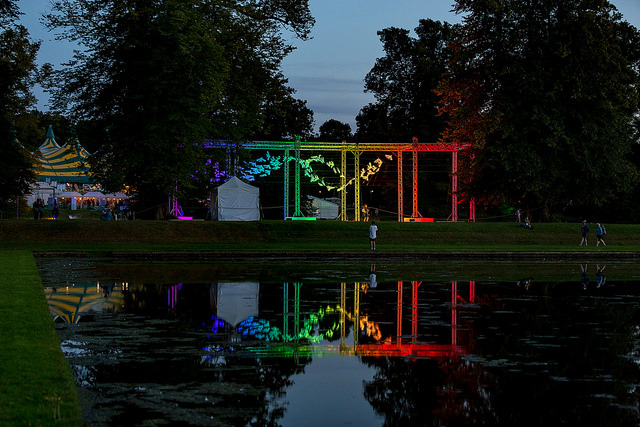 Greenbelt's Team are looking for an artist/s or creator/s to exhibit outdoors around the festival site, situated in a beautiful greenfield space on the estate of Boughton House. There are open green spaces and woodland spaces to explore and we would welcome a variety of proposals that could fit in the landscape. To discover more of the landscape of Greenbelt please explore our Flickr page - https://www.flickr.com/photos/greenbelt/albums. We are particularly keen on proposals that consider the festival theme (this year it is ‘Wit and Wisdom’) and ethos (blending artistry, activism, spirituality, politics, faith and justice), makes good use of the unique festival setting and engages festival goers. 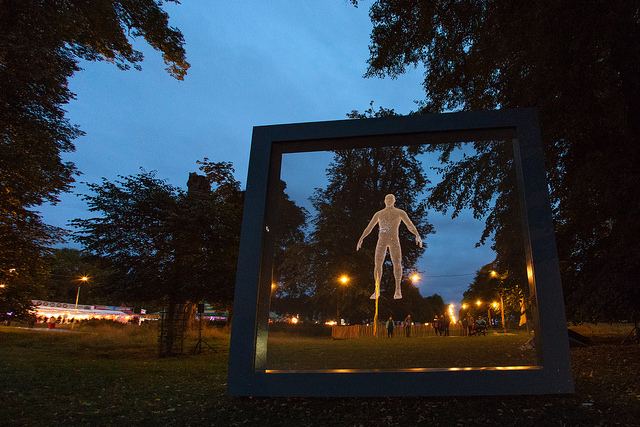 Greenbelt is not afraid of the provocative, imaginative or thought provoking. Those who attend the festival like to participate and be surprised by engaging hidden gems within the festival programme. We are looking for proposals ranging from £100 - £4,000 which will need to include all the costs around installing and de-rigging the piece. We can offer some practical support in the lead up to the festival and some crew support whilst on site, but please state in your application if you need this. The festival takes place over 4 days - Friday to Monday. The installation must be completed by 4pm on Friday 23rd August when we open to the public. The exhibition must stay in place for the duration of the festival and de-rigging cannot take place until Tuesday 27th August. Exhibitors will need to have their own public liability insurance (available with Artist’s Newsletter membership). Deadline for submission: Midnight 31st January 2019. You will be notified by end of March 2019 at the latest whether you have been successful or not. If you would be interested in submitting please click the 'Make a Submission' tab to apply. Link to a latest video (if applicable to your work). You can make more than one exhibition submission but it is likely we will only select one exhibition for the weekend. Greenbelt Festival runs 23rd to 26th August 2019 and your exhibition will take place for the duration of the festival. 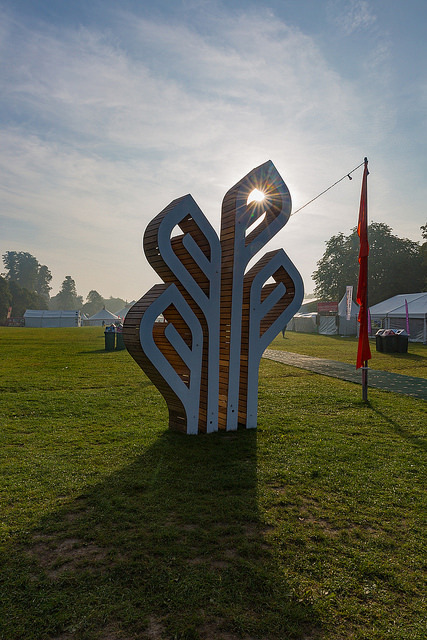 Access to the festival site can be arranged from 3pm on Thursday 22nd August 2019 to set up the exhibition and will need to be ready by 4pm on Friday 23rd August 2019. The exhibition must remain up over the whole festival, and can be deconstructed on Tuesday 27th August. At Greenbelt we work hard to ensure that people with disabilities, their friends and families are welcomed and included. Artists and exhibition details will be promoted on the Greenbelt Festival website and in the Festival Guide. There may be opportunities to add a blog post in the lead up to the festival and to become involved in other aspects of the festival (eg. Art School, speaking, panel discussion). We do encourage artists/exhibitors to make time each day during the festival to be at their exhibition so that people can meet the artist and discuss the exhibition with them. Where will my venue be listed? Work will be advertised on the Greenbelt Festival website line up page, in the Festival Guide and on the Festival App. A member of the Greenbelt Team will contact you to let you know if your submission has been selected. We will then liaise with you regarding the specific needs of your exhibition. 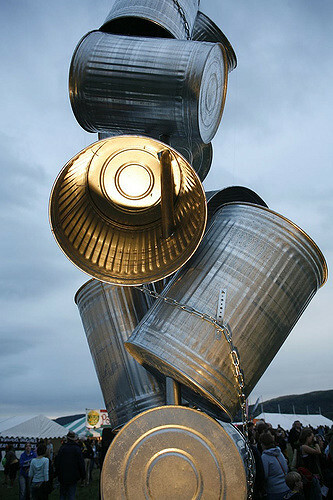 We are looking for a diverse range of artists and exhibitions. 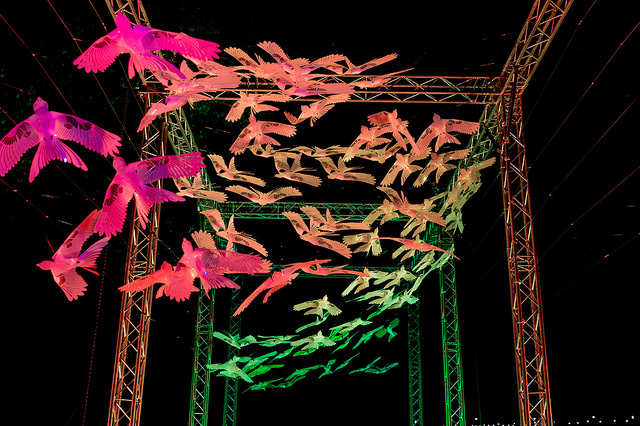 In the past we have welcomed sculptures, video mapping installations, performance art and more with a whole range of styles. We are particularly keen on proposals that consider the festival theme, make good use of the space, encourage participation and engage festival goers of all ages in both the day and the night.